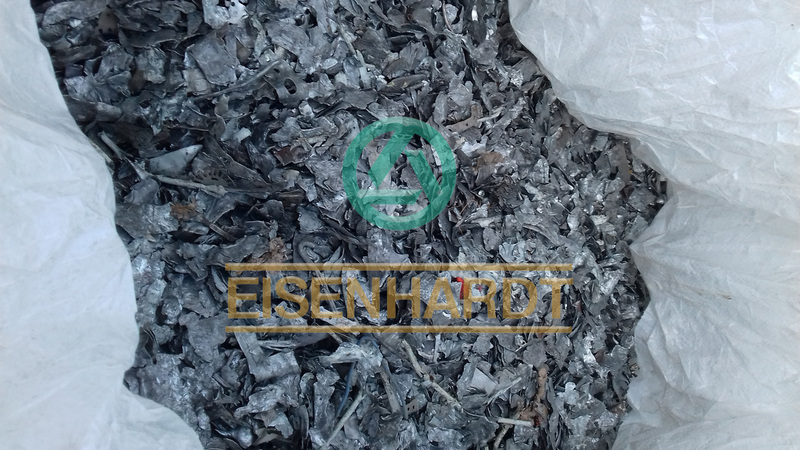 EISENHARDT produces shredded steel scrap from Germany, Holland, Paraguay and Spain biggest yards that are our trusted scrap yards partners. We are able to export shredded 210-211 in bulk and in containers in big bags according with importer`s need. DESCRIPTION: Recently generated (without excessive rust) scrap which has been industrially processed by shredding machines. EXCLUSIONS: This grade must not contain tin (particularly cans), nor scrap from incinerators. It must also be free of non-ferrous metals. DIMENSIONS AND CARACTERISTICS: 95% of the resulting fragments must be shorter than 0.25m in any direction. The balance 5% must not be longer than 0.5m. SPECIFICATIONS: Homogeneous iron and steel scrap, magnetically separated, originating from automobiles, unprepared No. 1 and No. 2 steels, miscellaneous baling and sheet scrap. Minimum density: 70 lbs per cubic feet. The size is 50 mm - 150 mm. Mercury switches must be removed prior to shredding. The shredder has a unique 16 hammer pattern, where the grates are smaller and hammers closer together, compared to other scrap shedders. The result is that the scrap metal stays in the shredding chamber for a longer period, compared to a standard metal shredder. It is cut into much smaller pieces and the high speed cutting action scrubs almost all of paint and contaminants off the metal surfaces. EISENHARDT and our associated partners also manufacture an advanced magnetic separation and dust extraction system. The processing plants are able to completely clean the shredded scrap due to the fact that the paint, rubber, plastic etc. has been cut into extremely small pieces and liberated from the ferrous metal surfaces.